The first thing you'll notice when browsing through Our Volkswagen Original Accessories catalogue is that there's something for every need. Volkswagen Original Accessories cover everything, from improving your Volkswagen’s versatility to making sure it stands out on the road with exclusive wheels or body accessories. Aftermarket accessories may be available for your Volkswagen, but Volkswagen Original Accessories were designed with your vehicle in mind. This means that the safety, performance, and reliability of your Volkswagen vehicle will be preserved when you opt for Volkswagen Original Accessories. Moreover, if you have your accessories installed before the delivery of your vehicle at Owen Sound Volkswagen, they're protected for a full 4 years or 80,000 kilometres. This way, you know your Volkswagen Original Accessories will last as long as you need them to. 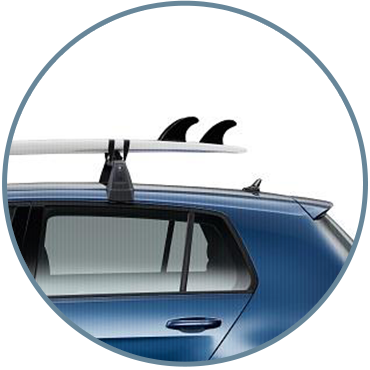 From bike racks and roof boxes to Volkswagen lifestyle accessories, we have everything you could ever want at Owen Sound Volkswagen. Visit us today and chat with our accessories specialists at Owen Sound Volkswagen.